Hermanus Petrus Josephus de Vries was born in Rotterdam on the 10th of January 1895. He studied at the Academy of Arts and Technical Science in his home town and won the prestigious Prix de Rome for architecture in 1918. Due to the First World War he was unable to go on the international study tour that was part of the prize. 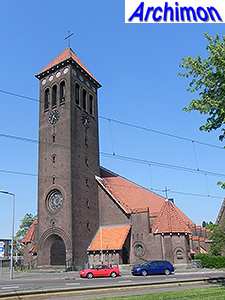 Instead, he studied the old churches of the province of Groningen. 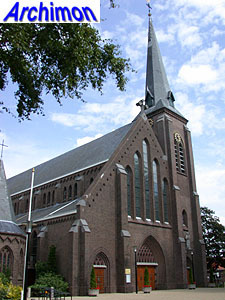 De Vries designed several catholic churches, as well as many other buildings. His earlier work is in a Traditionalist style with Expressionist influences. His later work is modern, sometimes Functionalist. He died in Rotterdam on the 24th of February 1965. The following is a list of his churches and other works of a religious nature. It is possibly incomplete. Three-aisled basilica in Traditionalist style. 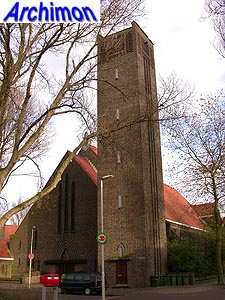 Neo-Gothic tower of previous church (by H.J. van den Brink) was incorporated. Basilica in Traditionalist style, with tower with Neo-Romanesque elements. Part of a complex that also included a monastery. Three-aisled basilica in Traditionalist style, with a tower at the side of the nave. Clerestorey with large windows,side-aisles with flat roofs, nave covered with a large roof on a wooden beam construction. Church in Expressionist style. Part of a complex that also included a monastery. The spire was demolished in 1991, after it had been struck by lightning. 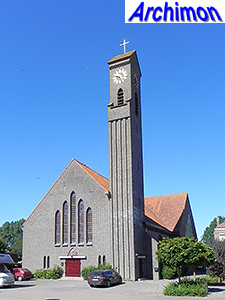 Cruciform church in Expressionist style, with slim, tall tower. Long but low aisleless building in Traditionalist style. Aisleless cruciform church in Traditionalist style, with tower. Big aisleless church in Traditionalist style. Wide nave, tall tower-like choir. Christocentric cruciform basilica, in a combination of Traditionalist and Expressionist styles. 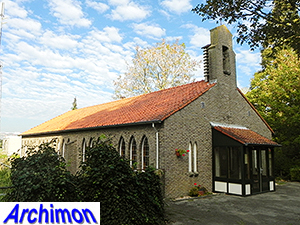 Designed in conjunction with architect A.H. Witteveen. Closed in 2004. 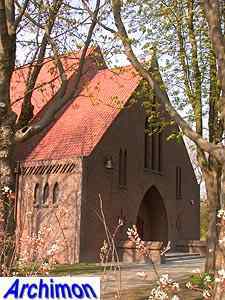 Aisleless church with wide nave. Aisleless and towerless church in Traditionalist style. 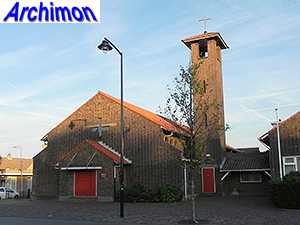 Aisleless church in Functionalist style. Wide basilica in a modern style with Traditionalist elements. 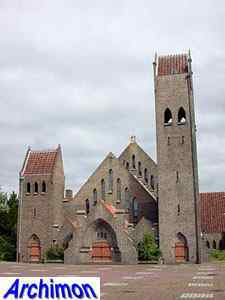 Part of a Crosier monastery, also designed by De Vries.